Awesome documentary. A real eye opener. A very powerful insightful view of life for some soldiers on the front line in Afghanistan. Every American especially should watch. 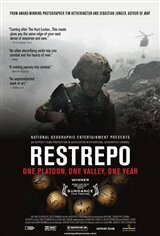 I recommend you read WAR, then go see this film. It gives us a "glimpse" of their reality. I can never know and can only try to understand. This film will help our understanding.